Humana continues to work on developing the concept of sustainable and caring fashion as added value for the retail sector in Spain. The Foundation creates added value at the end of the cycle of clothing and footwear in integrating the promotion of reuse and recycling. 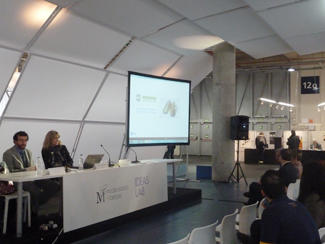 Humana offered last Monday in the International Fair of Footwear and Leather Goods Modacalzado + Iberpiel, in Madrid, a workshop that addressed all these concepts. The event had the support of the Federation of Spanish Footwear Industries (FICE). The Foundation offers fashion and footwear companies can donate their stocks, promote specific campaigns collecting textiles and footwear, including customer incentives, and place containers on their premises. Garments and footwear donated thus contribute to the development of countries in the south, allowing the realization of long-term programs in various sectors such as the promotion of quality education or community development or agriculture. Sustainability applied to fashion allows companies to have a more loyal and committed customer and adds value to the brand.